On Saturday, April 6, more than 5,000 participants rode, ran, or walked 62,136 miles to support Sylvester Comprehensive Cancer Center at the Dolphins Cancer Challenge IX in an effort to fight cancer. 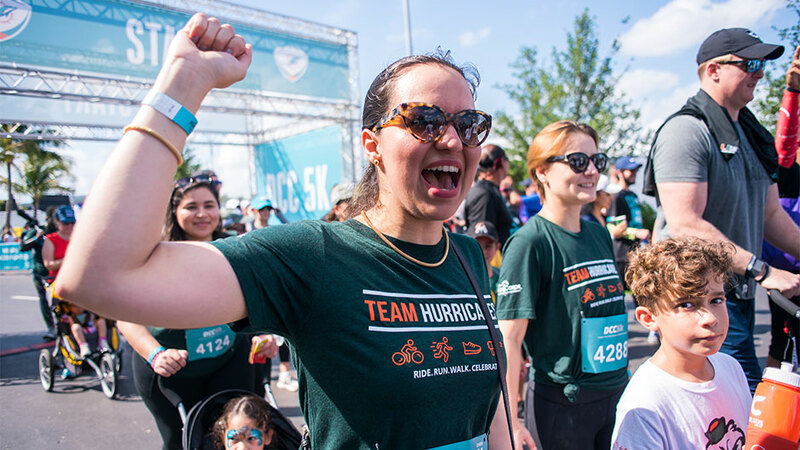 Among the thousands of participants 965 represented Team Hurricanes—an 18 percent increase over DCC VIII in 2018. New this year, participants can browse through and download images from the event free of charge. Relive all the fun and share photos with your family and friends. View photos now. Also worth noting, the window for fundraising is still open. All donations should be made by Tuesday, May 7. Life@TheU was at DCC capturing the moments behind-the-scenes. To catch our coverage, head over to our Instagram @lifeattheu and check out our stories saved in the highlights. If you share any photos or videos on social, tag @lifeattheu or use #lifeattheu to let us know and you may be featured.